Exfoliating the skin can result in a brighter, more youthful appearance. Moisturizing cream may be applied to prevent dryness following a skin exfoliation procedure. Gommage is a type of facial exfoliation. 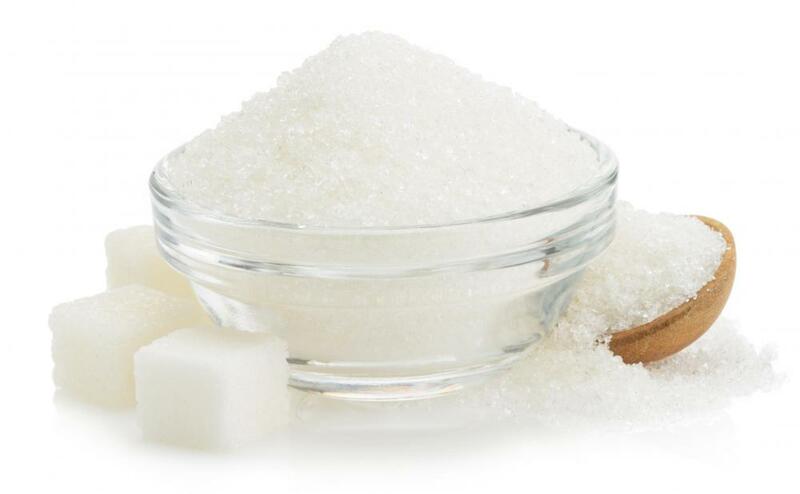 Sugar can be used to exfoliate the skin. Skin exfoliation, or the process of removing dead skin cells from the body and face, can be accomplished in a variety of ways. Gommage is one method of exfoliation. Considered highly effective, a gommage exfoliant can leave skin clean and soft. A paste or cream, gommage is administered onto the skin in a very thin layer. It is left on the skin to dry, but only slightly. It is then massaged and rolled off the skin. As the layers of dried paste fall off the body, so too do the skin's outermost dead cells. Sticky agents within the cream, such as xanthan gum and select enzymes, ensure that dead skin cells are removed from the body, leaving a clean new layer of skin visible. Spas that lack a wet room typically use these creams for full body treatments. Since hot gommage requires more manpower than alternative treatments, salt and sugar scrubs are often preferred to reduce treatment time. The benefit of gommage over salt glow and scrub treatments is that it does not require water for rinsing following the application. For this reason, spas that do utilize the application are often locations without showering options. French for "to erase," the gommage facial was once the most commonly used type of face exfoliant. Following the invention of chemical exfoliants, such as alpha hydroxy acids, it has not been used as often in facial treatments. Such chemical exfoliants are considered easier to use as well as just as, if not more so, effective than a mask. Gummy gommage mask is chemical-free and gentle for most skin types, however, making it an optimal choice for some people. It is possible to purchase a kit for home use. The regimen, however, is typically reserved for professional spa treatments. Prior to using the exfoliant at home, it can be beneficial to first consult with a professional. Some types of over-the-counter treatments, such as cranberry varieties, include antioxidants, volcanic minerals, and other beneficial additives. These types of treatments are recommended for use two to four times weekly. People with allergies to skin treatments may have an averse reaction to this peel. Always check the ingredients to the paste or cream prior to application. This exfoliant should not be used on older, sensitive, or thinning facial skin. Areas with pimples or broken capillaries should be avoided when using the treatment. Gommage is not meant to be combined with other exfoliants. What is a Deep Cleansing Mask? What is a Dead Sea Salt Scrub? How do I Choose the Best Exfoliating Cleanser? @panda2006- I was told the same about toners. They clean your skin almost too well, removing natural oils and fibers and leaving skin too dry and vulnerable. Some people like toner, and many people like exfoliating to some extent, you just have to use caution with all of it. As for gommage, I haven't tried it myself but have heard really good things, so I hope to try it sometime. Many dermatologists warn against over exfoliating. It feels so good sometimes, but people can do too much really easily. I have very dry skin, so I almost never exfoliate anymore. I might try gommage, though, because it sound much more soothing than the usual scrubs and other products that are for sale.